While it is no secret that Metallica are not a top band to see for many Glastonbury festival attendees, it looks like Metallica have a sense of humor about it. 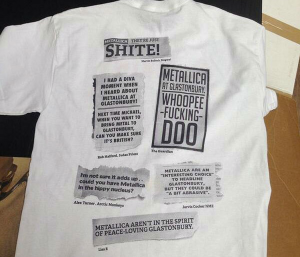 The band has taken many of the unflattering Metallica quotes from various journalists and bands (who wrote about the group playing the festival) and printed them on a t-shirt. 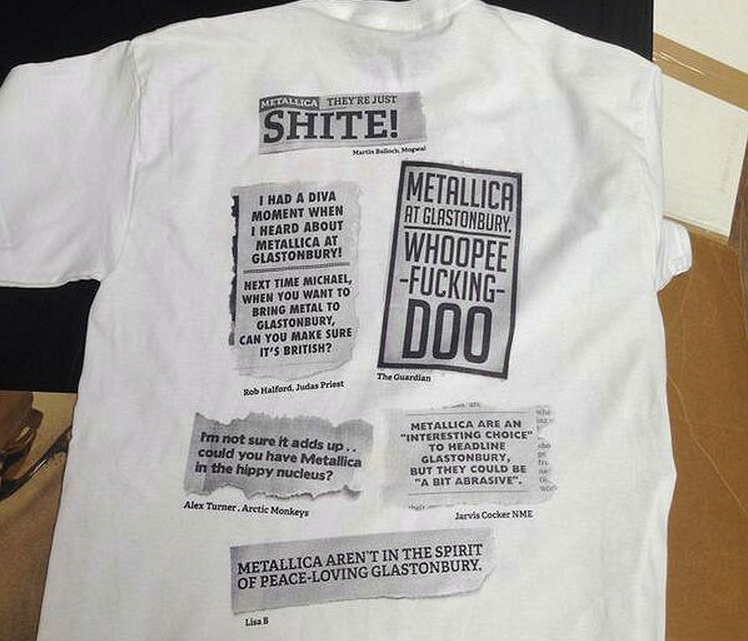 The shirt will be sold at the bands merch table at Glastonbury.